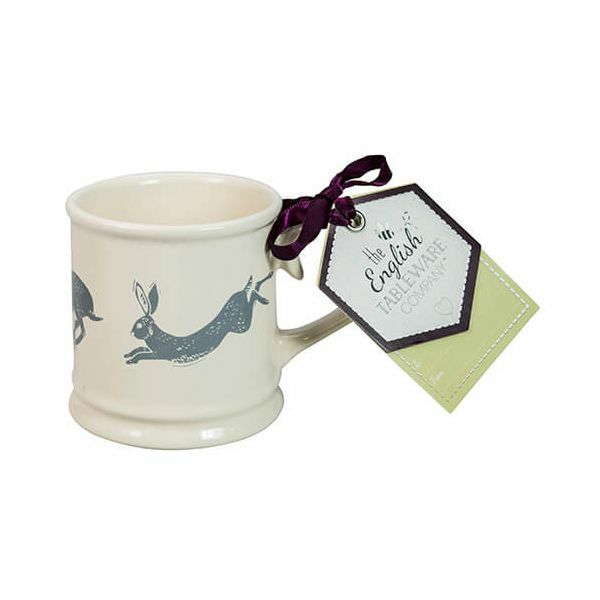 The Artisan Hare Tankard Mug is made from fine bone china and hand crafted for this artisan collection. The tankard mug is perfect for serving tea and coffee to friends and family and looks equally stunning on display. Part of a collection this tankard mug makes a lovely gift. Suitable for use in the microwave and is also dishwasher safe. Dimensions 7.5 x 7.2cm, 200ml capacity. When the mugs arrived they were not as specifified on the website, ie 100ml capacity not. 300ml. The company response was excellent, replacing the items with larger ones within a week. Very good service. Hi. Thank you for your feedback and for bringing this to our attention. We will update our product listings as necessary. Please accept our apologies for any inconvenience caused.